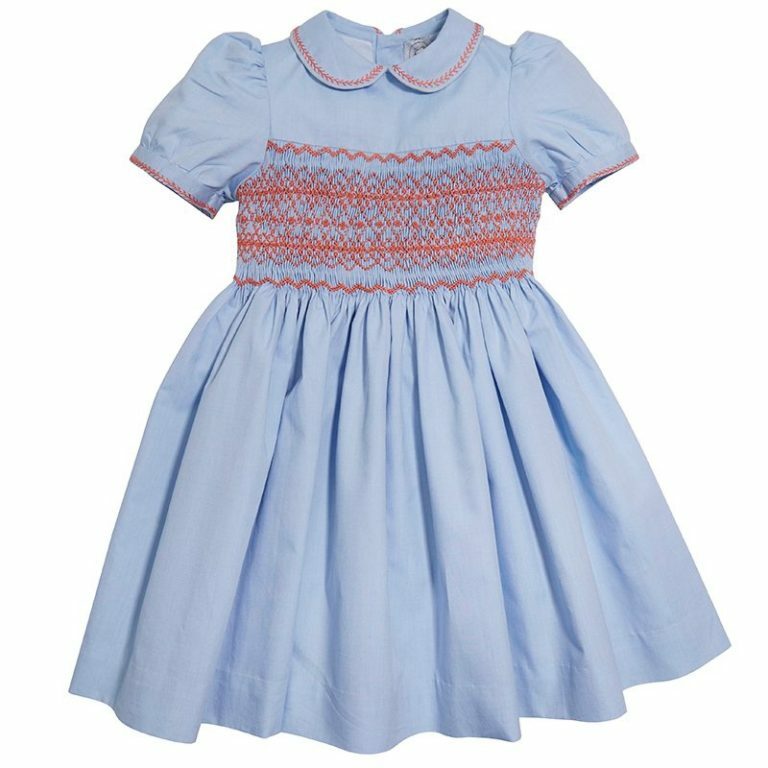 Blue hand-smocked dress with coral embroidered details at the front and matching stitching on the frilled puff sleeves and peter pan collar. There is a sash at the back which ties in a bow. Includes matching baby bloomers, for sizes up to 24M.